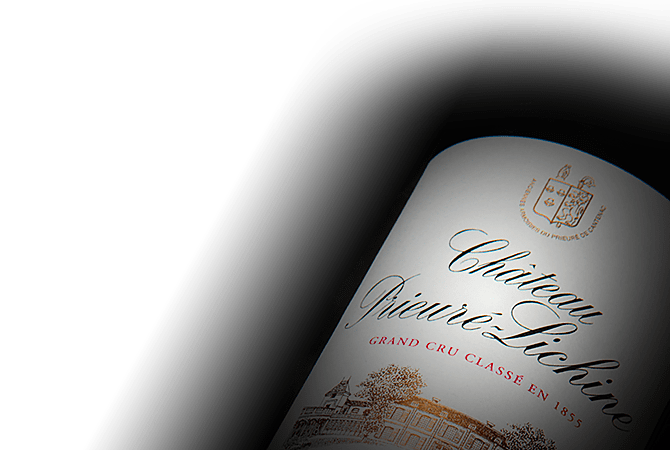 Chateau Prieure Lichine is a Fourth Classified Growth that was originally a priory of Benedictine monks founded in the 12th century and then privatized after the French Revolution. Purchased by Alexis Lichine in 1951, the charismatic owner modernized the property and worked to fully realize the quality of the soil. Now owned by the Ballande family, the 70 hectare vineyard produces wines that are elegant, charming and powerful without being overwhelming, typical of the Margaux appellation. Holding the rank of Fourth Classified Growth in the Margaux appellation of Bordeaux’s Medoc since the Classification of 1855, Château Prieuré-Lichine produces wines that are the epitome of elegance, with a powerful aromatic bouquet of macerated cherries, cedar wood, flowers and underbrush. Reflected in every glass are eight centuries of vine-growing tradition, spanning back to the monks of the Priory of Cantenac and extending gloriously into modern day. 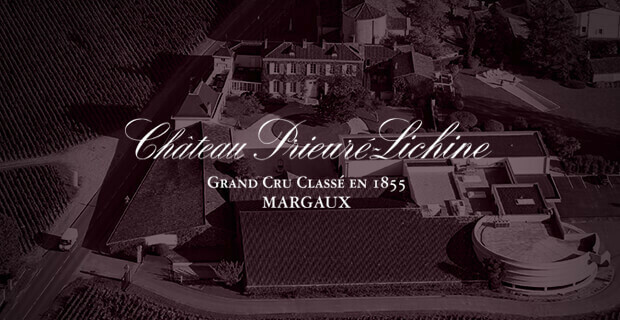 Setting Château Prieuré-Lichine apart from many of Bordeaux's other Classified Growths (originally owned by either nobility or the more modern bourgeoisie) is its rich history as a monastic property. The priory of Saint-Didier de Cantenac was founded way back around the year 1000 and became an important resting point for religious pilgrims on the way to Santiago de Compostela. Already during the Middle Ages, the wines produced by the Prieuré de Cantenac in the appellation of Margaux were well established and taxed by the King. Between the 12th and 18th centuries, the monks worked the fields surrounding their priory, a total of 20 hectares that expanded over grazing lands and forest, as well as vineyards. During the reign of Louis XV in the 18th century, all of this land was converted into vineyards through the back-breaking work of prior Arnaut and his vicars. A period of prosperity followed, as wine became the chief source of income at priory, and a new church was constructed between 1769 and 1771, which still stands today. Because of the attention dedicated to their vineyards, the Prieuré de Cantenac managed to hold on to this estate even through the French Revolution, until prior Jouneau finally sold it to a Bordeaux wine merchant by the name of Sir Durand Delains in 1809. In 1855, the property was designated a 4th Classified Growth by the Imperial Classification of Napoleon III. But just two decades after, in 1879, the Margaux appellation was struck by phylloxera, followed just two years later by the onset of downy mildew, which devastated the vines and forced many château owners to sell their family estates. Eventually, Prieuré passed into the hands of Parisian Victor Ruhl, who worked on rebuilding the vineyard until his death in 1903. In the next 50 years, the estate would see several different owners, and by the time Alexis Lichine purchased the property in 1951, only 4 hectares of vines were in production. A natural born winemaker with plenty of experience in international wine sales, Lichine was known for his convivial character and natural warmth, which stood out in the stuffy wine community of Bordeaux. During his ownership of the château, several vineyards were added to the property and the ancient priory home was also rebuilt. A living representation of the spirit of the property, Lichine gave his name to the château and chose it as his final resting place. 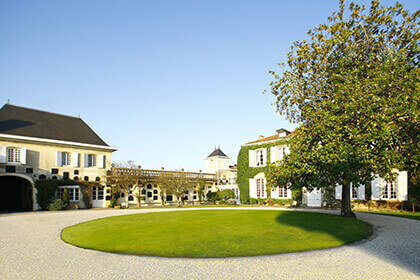 In 1999, Château Prieuré-Lichine was purchased by the Ballande group and is now run by Technical Manager Etienne Charrier with the assistance of consultant Stéphane Derenoncourt. Since then the map of the vineyard has been redrawn and a 15-year replanting plan was launched, along with several other new viticultural practices. The 77.5 hectares of vineyards of Château Prieuré-Lichine are planted in soils characteristic of the Margaux appellation, situated in the Médoc region on the Left Bank of Bordeaux. These soils include gravel, and a combination of gravel, pebbles, sand and clay sediments, which were washed in by the Garonne River and which settled over a substratum of Tertiary era limestone. These well-draining soils are actually further categorised by geographical location: high terraces of gravel soils more inland are referred to as Pyrenean gravel, while the alluvial soils alongside the river are called Garonnese or Grunz gravel. Because the terraces of the Margaux appellation are located further from the riverbed than those of Pauillac or Saint-Julien, for example, they have also been better preserved from erosion. The Château Prieuré-Lichine property is planted with 50% Cabernet Sauvignon, 45% Merlot and 5% Petit Verdot. Cabernet Sauvignon, classically dominant in the blends of Bordeaux's Left Bank, grows best in the well-drained, deep gravel soils of the estate's mound tops and terrace edges. Merlot, on the other hand, performs best in lighter soils with more clay and less deep gravel. The high proportion of Merlot is due to the abundance of clay soils found in this part of the Médoc. Since 1999, the vineyards have been managed in a way to maximise grape ripening, relying on practices like raising vine canopies and early de-leafing. The bunches are thinned in the summer in order to reduce yield, thereby increasing concentration and quality. During harvest, the fruit is sorted once in the vineyard and again at the winery on an optical sorting line. 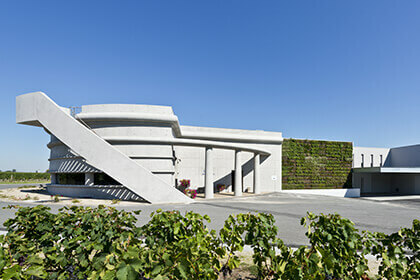 The fruit is vinified in 15 concrete and 10 temperature-controlled stainless steel tanks, whose different sizes correspond to different yields from the various individually vinified parcels. During alcoholic fermentation a gentle extraction is used and the length of maceration is adjusted to each single-parcel vat. Malolactic fermentation of the château's Grand Vin is carried out in new oak barrels, followed by maturation in oak for 16 months. Each batch is treated separately, based on the individual "needs" of the wine inside. 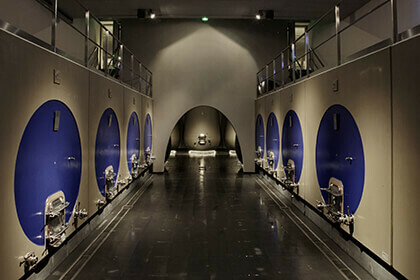 In some barrels, the lees are stirred, in others racking or micro-oxygenation by cliquage is carried out. Some of the batches are fined, while others are not. The eponymous Grand Vin of Château Prieuré-Lichine is produced from vines that grow in Gunz-era gravel along the Garonne. The final blend depends entirely on the vintage and the relative performance of the three varietals, though the proportions tend to fluctuate around 65% Cabernet Sauvignon, 30% Merlot and 5% Petit Verdot. Although the unique character of the wine depends on its vintage, Château Prieuré-Lichine tends to be a charming, well-rounded and complex blend with a powerful aromatic bouquet of cherry liqueur, cedar, spring flowers and underbrush. These wines can be enjoyed in their youth after some decanting, but improve significantly after ageing 12-15 years in the bottle. The estate's second wine, Confidences de Prieuré-Lichine was first introduced, under the original name Château de Clairefont, in 1972 by Alexis Lichine. This cuvée is produced from 24 hectares of the property's younger vines (25 years old on average), grown in sandy-gravel soils at a density of 40 vines per hectare. The final blend of 60% Merlot and 40% Cabernet Sauvignon is aged for 14 months in barrels of two or three previous uses. These wines are loaded with black fruit - among them black cherry and black currant, along with some spring flowers and notes of graphite. In addition to their bold yet balanced reds, the estate also produces a white wine named Le Blanc de Château Prieuré-Lichine. The blend contains 60% Sauvignon Blanc and 40% Sémillon grown in sandy-gravel soils upon a subsoil of clay. The 1.5-hectare plot, situated in the commune of Arsac, was planted in 1990. These wines are known for their beautifully round mouthfeel and aromatic finesse, achieved by maturing them on fine lees in Burgundian oak barrels. From fruit grown in plots adjacent to those of Château Prieuré-Lichine but baring the appellation of Haut-Medoc, the estate also produces a single-varietal Merlot wine named Le Clocher du Prieuré, which has become known for its beautifully soft and smooth tannins.